Food for the fangirl soul! Learn more about Korea and your favorite idols at the same time! It’s 2019 and YouTube is as full of life as ever. 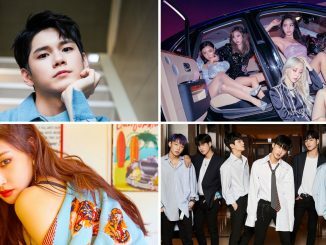 As fans, YouTube is one of our primary sources for fangirl materials, and companies also treat it as an avenue for fans to know more about their favorite idols. While most idols already have their own official channels for them to upload MVs, dance practice videos and so on, some of them go above and beyond, offering fans an up-close and personal glimpse into their private lives and giving fans an insight into what being an idol in Korea is like. Without further ado, here are 8 K-Celeb YouTube channels you should be watching right now! Partnering up with Studio Lululala/JTBC, this one-man show has new videos uploaded at least once a week, introducing to you all the hot places in Seoul. While his viewership and subscriber count are high, many international fans don’t really know of this hidden treasure. Not only can you learn more about the trends in Korea’s vibrant cityscape, the half-hundred (he said so himself!) year old legend is horribly funny you can’t help but want to laugh all the time. As a long-time subscriber and avid fan of each video, I highly recommend you check this one out, it’s a must-watch! You can check out his YouTube channel here. 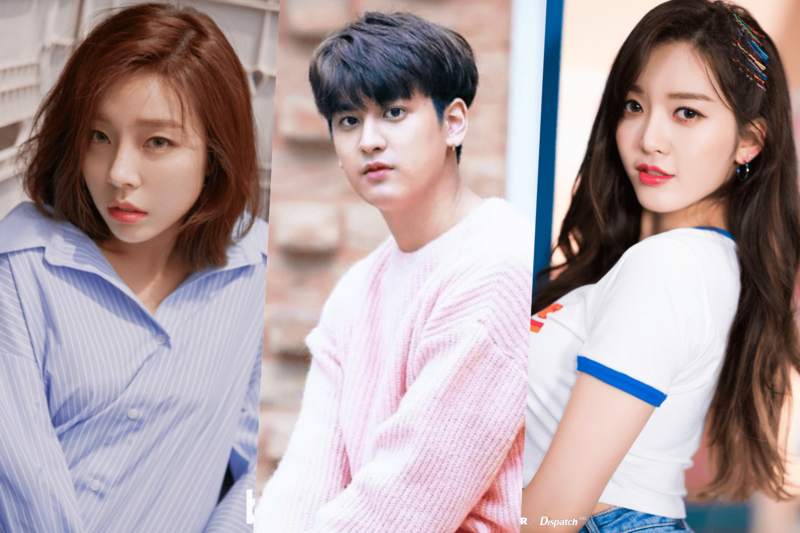 Being one of the younger ones in the K-Celeb YouTube scene and still relatively active in the industry, AOA’s Chanmi offers a burst of fresh energy into the interwebs with her relatable talk and approachable personality. While juggling with her strenuous idol activities, she regularly uploads videos that allow us to live the life of a girl group member though her vlogs, and learn K-Pop idol-level beauty tips from her tutorials! Not only is she open to sharing some well-guarded industry secrets, fans can get to know this sweet idol on a more personal level as she uploads more intimate videos like “Draw My Life”. You can check out her YouTube channel here. A Native English speaker and well-rounded idol, Ashley knows how to entertain her viewers by constantly updating her channel with some vlogs showing off the life of an idol, as well as some tips and tricks in the idol industry ranging from beauty to fashion. Occasionally, she will even upload videos that feature some of her idol friends to give you an insight of what being an international K-Pop idol is like. While her videos are very informative and fun to watch, the way she edits her #ashthetically pleasing video are a merit on its own. You can check out her YouTube channel here. Well known amongst fans for his eccentric and personable charms, iKON’s maknae, Chanwoo, takes it up a notch and often uploads a bunch of entertaining videos on his channel as often as he can despite his gruelling schedule. A huge lover of games (especially PUBG!) and all things fun, a lot of his videos feature him playing, having fun with his other iKON members or even doing something random during a concert. While this is a good place for iKONICs to find out what their favourite member is up to lately, non-fans will also enjoy watching this show because his videos are hilarious. You can check out his YouTube channel here. For fans of now-inactive Super Junior member Sungmin, this channel is one of the ways for fans to get an update from the said member. Though he is no longer active in the group, the idol-turned-husband consistently uploads a variety of contents ranging from song covers to conversation-type vlogs, and keeps his fans up to date on his whereabouts. While it is unfortunate that some people have turned their backs on him, Sungmin is determined to keep his fans thirst for more content satiated and fans are loving it! You can check out his YouTube channel here. Luna is more than just an idol that sings and dances exceptionally well. While we do not see her on TV as often as we used to, she doesn’t let her lack of appearances get to her! Just like any other pro-YouTuber we see online, Luna curates a ton of well thought out videos for her fans and viewers to get to know more about her life. Venturing out from the norm, she covers a wide variety of topics ranging from fitness, fashion, lifestyle to even behind-the-scenes concert vlogs. One of the earlier idols to join the YouTube, you can tell from her videos that she has got a lot of experiences up her sleeves! You can check out her YouTube channel here. It’s tough being an idol but it’s excruciatingly tougher to be an idol in a public relationship with another person from the same industry. Once a well-known figure amongst 3rd generation idols for his distinctive features and amazing voice, G.O takes a step back and becomes a YouTuber/online personality with his girlfriend, Choi Ye-seul, to produce videos documenting their dates and skits to show a more hilarious part to themselves. While it is difficult to build a career from scratch, G.O and Choi Ye-seul defied the odds to become very successful online stars, it was even revealed that they both earn quite a fair sum from their online engagements! You can check out his YouTube channel here. Still relatively new as a YouTuber, Shinhwa’s Eric has been creating really interesting videos under his YouTube channel, aguTV. For his first video, he discloses his very own secret recipe to making a delicious pot of ramyeon, and this video has garnered more than 730,000 views in just a month. Fans love the video so much that he went on to film a couple more cooking tutorials, revealing his secret recipes for Jjajang Ramyeon and Curry Ramyeon, proving just how much of a foodie (or perhaps ramyeon expert) he is! Recently, Eric also uploaded a video showing his hilarious attempt in battling for tickets to his own Fanmeeting, giving fans a good laugh over it. You can check out his YouTube channel here. 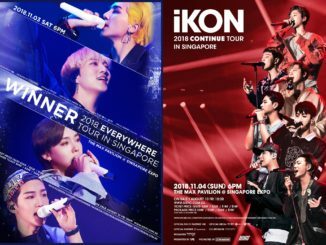 Tickets to WINNER and iKON Concerts in Singapore will go on sale on 10 August!